If you have been reading my blog for a while, you’ll know that the beach is my happy place. Luckily, we got to escape to my happy place for two days. We try to make it to the beach for a weekend about once per month, and over the years the amount of clothes I bring has gone down drastically. I do put thought into what I take however. This time my theme was fun and ease. 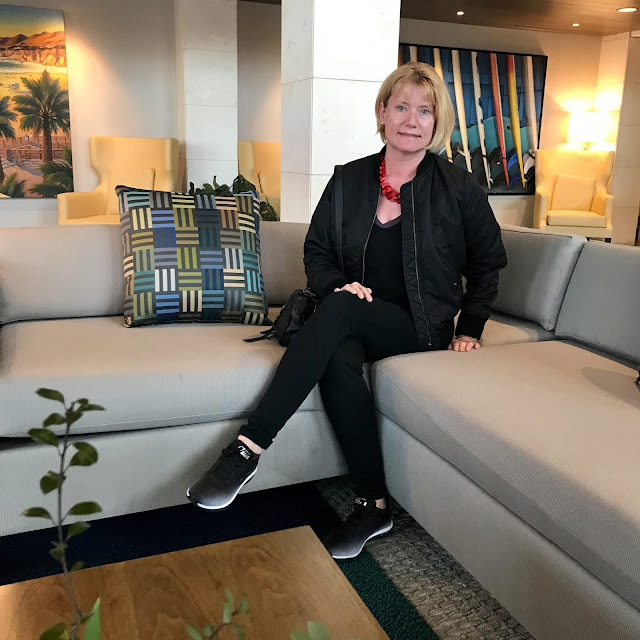 Leggings: Niyama Sol - the softest, most comfortable leggings I have ever owned! I've linked to different Niyama Sol leggings here. Outfit Details: Black jeans (my favorite and most affordable pair). Question: What is your packing strategy for a short getaway? Fun and ease is the perfect way to go, Andrea!! I will usually pack one dress just for fun, but otherwise it's jeans!! That legging sure is fun! Sadly, I have no strategy!! Except maybe to say, I always overpack. And I generally pack too few comfy things and too many dressier things. Not dresses, and not really dressy but 'more' than I wear to be comfortable at home. I think I want my mom to see me cleaned up! Does that make sense? Yes to beach getaways. The beach is my happy place, too, and it's been too long since I have been. Glad you guys make time to be together and away from life for a bit. You look comfortable but stylish...always. Thanks my friend! Have a great week! 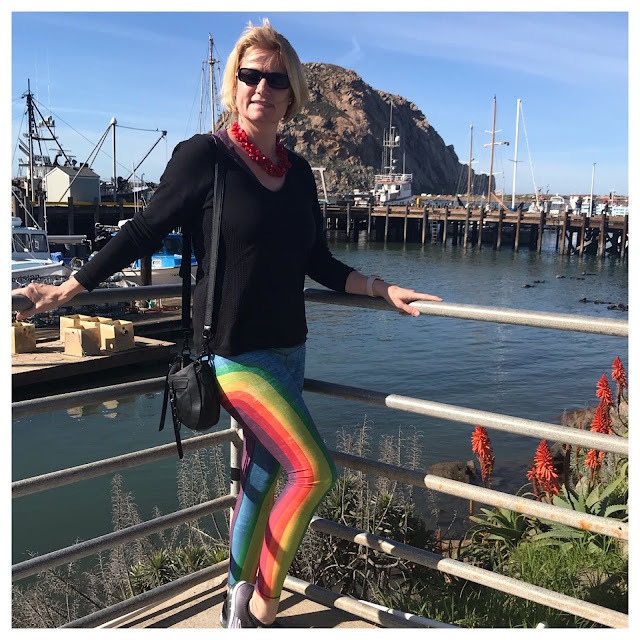 Those rainbow leggings are AWESOME!! I love your bright red necklace too! Thanks, Laura! The leggings truly make me happy! :-) And the necklace is a favorite for sure! I hate packing for any getaway because I never what I will want to wear, but I like your strategy of fun and easy. Those rainbow leggings are simply adorable! I need a little getaway soon, I think.